Gas Mantles, Kerosene Pressure Stoves, Kerosene Pressure Blow Lamps, Gas Stoves by Indo Auerlicht Manufacturing Company in Mumbai, India. Indo Auerlicht Manufacturing Company is recognized as a quality manufacturer of all types of mantles. Indo Auerlicht Manufacturing Company is a family owned organization which derives its strength from an all pervasive culture which forbids even the slightest compromise on quality. Established in 2007, Indo Auerlicht Manufacturing Company has its state of art manufacturing facility at Surat Special Economic Zone which is near Surat, India. Our mantles have diverse applications. 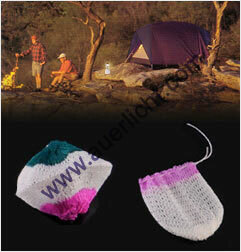 In developed countries our soft mantles are used for leisure activities like camping and fishing. Our hard mantles, in developed countries, are used for street lighting. In developing countries our soft mantles are used for... read more ?
? Copyright. Indo Auerlicht Manufacturing Company. All rights reserved.